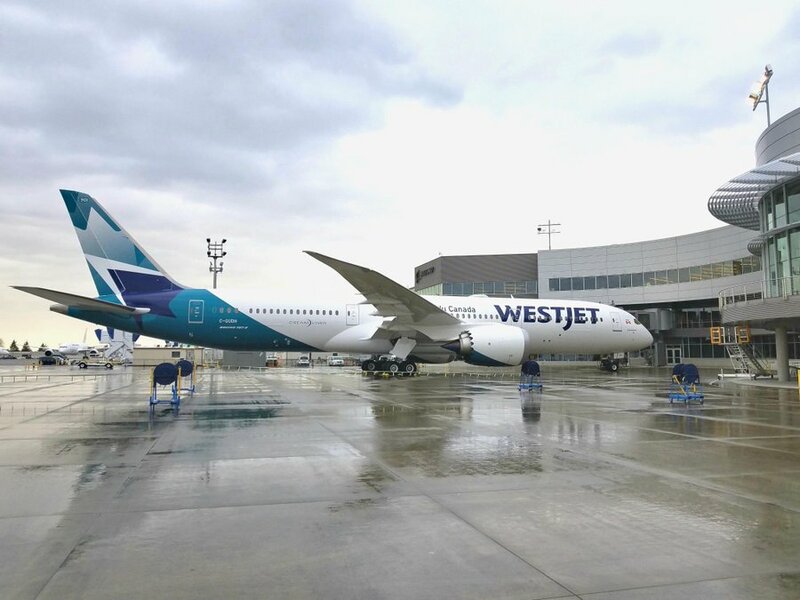 Air101: 'The Global Era' - WestJet gets its first Boeing 787-9 Dreamliner. 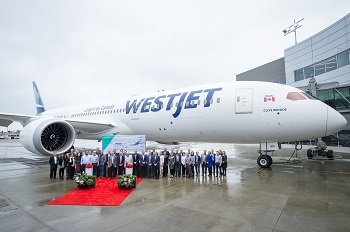 'The Global Era' - WestJet gets its first Boeing 787-9 Dreamliner. The first Dreamliner will fly guests domestically on Toronto/Calgary routes starting February 20 to assist with crew familiarisation before the first international service from Calgary to London Gatwick on April 28th. In preparation for its new Dreamliners, WestJet recently added digital solutions powered by Boeing AnalytX, to optimize its operations. These include Aeroplane Health Management, which provides predictive analytics to optimize WestJet's 787 fleet operations, as well as Toolbox, which delivers real-time information for technicians to quickly resolve maintenance issues and keep airlines on schedule. The aircraft also features the Boeing-designed turbulence-dampening technology, improved air quality to reduce jetlag and larger windows that give an increased sense of space. 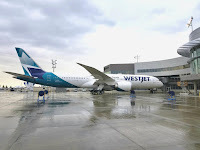 WestJet now seems ready to take on the legacy national carrier, Air Canada on a more equal footing, with the arrival of the technologically advanced 787 Dreamliner long-haul widebody aircraft, now the carrier can compete with its bigger rival on the longer transatlantic routes and give the national carrier a run for its money. 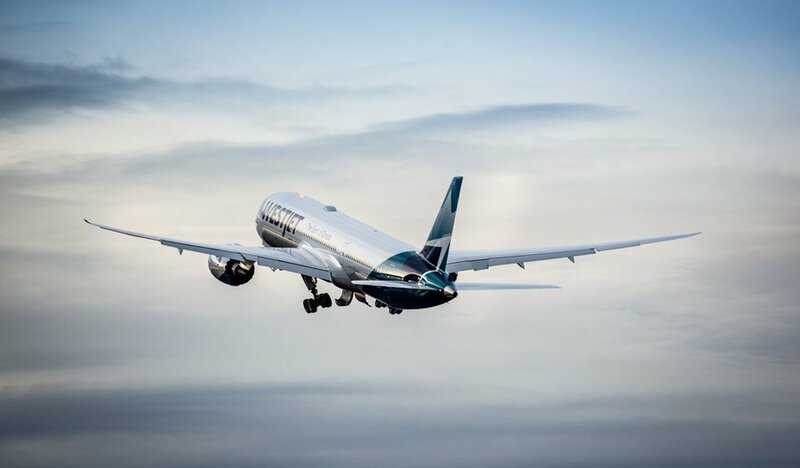 Although, for WestJet I hope that presenting the new arrival as the start of a 'Global Era' for the airline won't prove difficult for the carrier as era's come and go, how often have you heard the phrase 'it the end of an era'? Far more than 'the start of one, I'm sure.